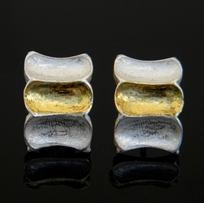 Uniquely shaped two-tone earrings handmade from sterling silver and 24kt gold finished with a textured satin surface. Bimetal 22kt gold on sterling silver handmade earrings with pearls. Finished with a unique stardust textured matte surface. 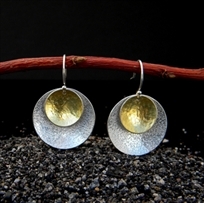 Organically shaped, handcrafted two-tone earrings worked in sterling silver and 24kt gold with a satin finish. 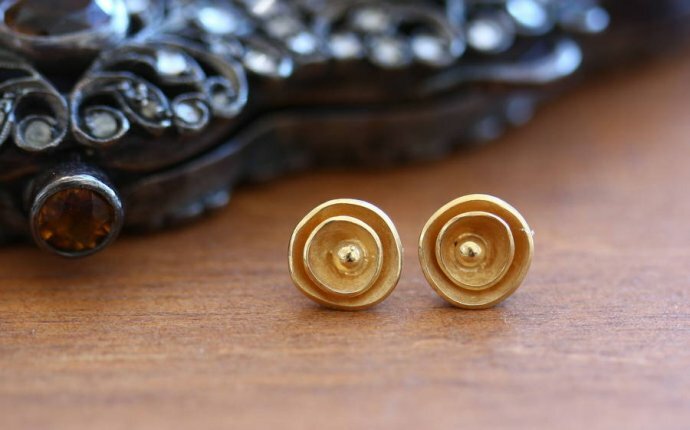 Two-tone earrings handcrafted from sterling silver and 22kt gold finished with our signature textured matte surface. Light weight and extremely comfortable handcrafted sterling silver earrings that beautifully frame once face. 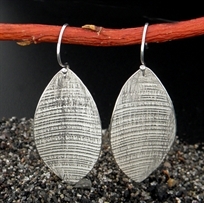 Simplicity but sophistication is the core design philosophy behind these skillfully handmade sterling silver earrings. 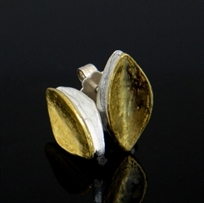 Handmade two-tone earrings crafted from sterling silver and 22kt gold finished with a unique stardust textured surface. 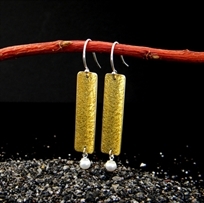 Handmade two-tone earrings worked in sterling silver and 24kt gold accentuated with a pin mounted pearl.